Switch up your commute for National Bike to Work Day! With more than 3 miles of walking paths on campus, loads of healthy menu options in our Scentsy Commons Kitchen, an employee gym and our own Wellness department, Scentsy puts great emphasis on health and fitness. So dust off that old 10-speed, today is National Bike to Work Day! 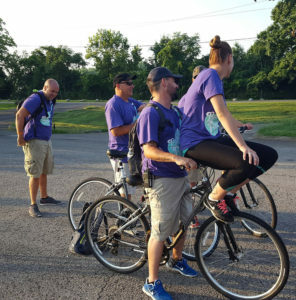 The League of American Bicyclists started Bike to Work Day (which is part of Bike to Work Week, which is part of Bike to Work Month) more than 60 years ago to encourage commuters to swap driving for pedaling as a healthy and safe means of transportation. Hundreds of communities nationwide have gotten in on the fun since then, with group rides, rallies and freebies to participants. And the coolest part is: Many people who join Bike to Work Day as first-timers become regular bike commuters! So, how can you get started — assuming you have a reliable bike, helmet and reflective gear, of course? Ask around to see if any of your neighbors or co-workers are biking in the same direction. A seasoned biking buddy can help establish your best route, navigate traffic and offer encouragement. If you can’t find anyone to bike with then make sure you learn how to properly navigate the roads without breaking any laws. This will help reduce the chance of you getting into an accident. If you do all this but someone still hits you then you may want to get a lawyer like this san Diego based one involved to see if you could get financial compensation for any suffering caused by the accident. Like any new activity, you’ll want to start small and build endurance. If you haven’t been on a bike since you first ditched the training wheels, some shorter rides closer to home will help you warm up to the idea instead of trying to crush it on your first time out. Map out your route and do a test ride. Sure, you can switch Google Maps to bike-commuter mode, but there are a variety of great biking apps to navigate the best course to work, calculate the calories you’ll burn and more. If your work commute is a long distance, calculate the time it will take via bicycle, and be sure to add time to freshen up before heading into the office. It may be “casual Friday” at work, but no one wants to sit next to a sweaty mess first thing in the morning. Above all, be safe! 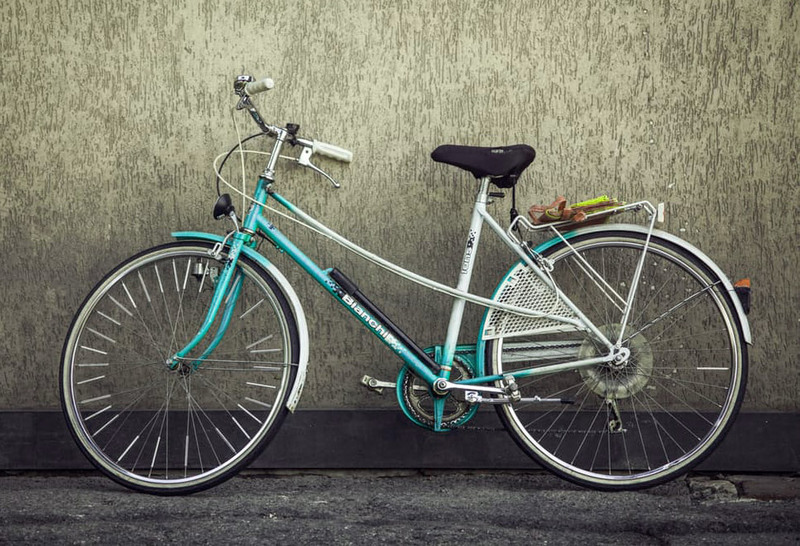 From your tires to your helmet and everything in between, these bicycle safety tips can help you make sure you enjoy cycling for many years to come! Whether you’re a seasoned cyclist or you’ll be making your maiden voyage this Bike to Work Day, enjoy the fresh air, freedom and fun of commuting on two wheels. Cycling is not for everyone. Some businesses offer their employees company cars for their commutes to work or business trips. They will often use leased cars to add vehicles to their fleet through someone like Intelligent Car Leasing.